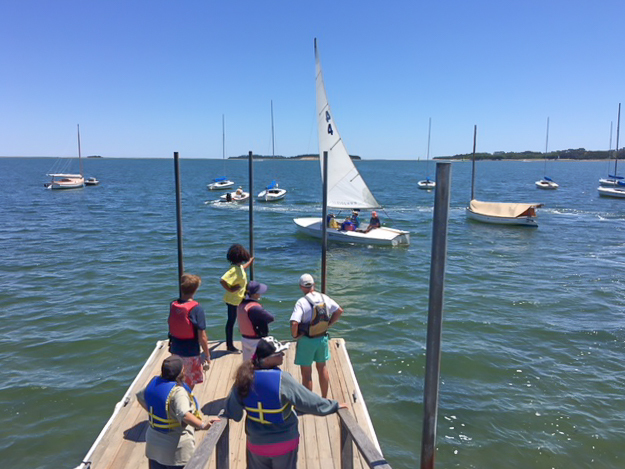 It takes a fair bit of planning, coordination and good luck to pull off a successful Senior Sailing day. 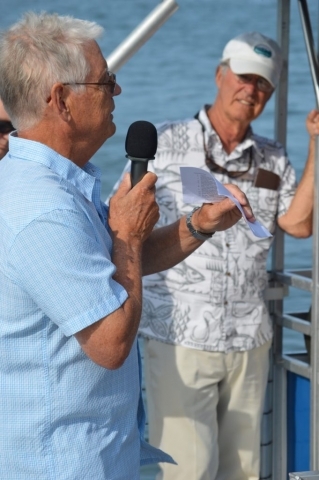 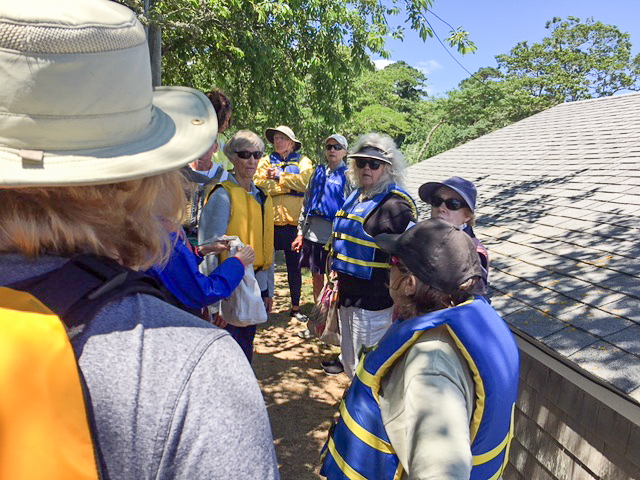 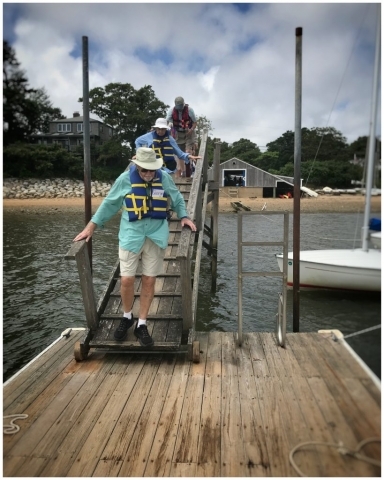 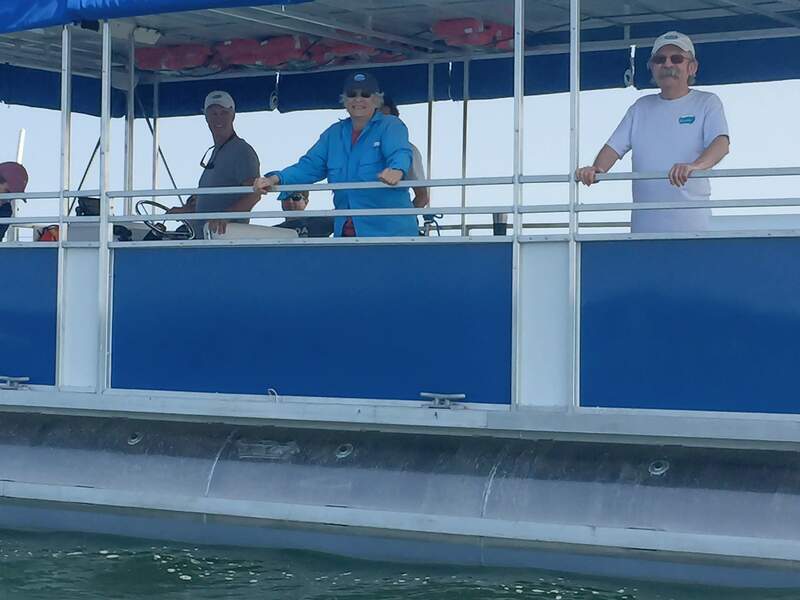 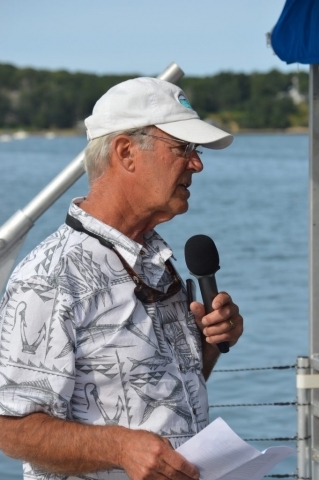 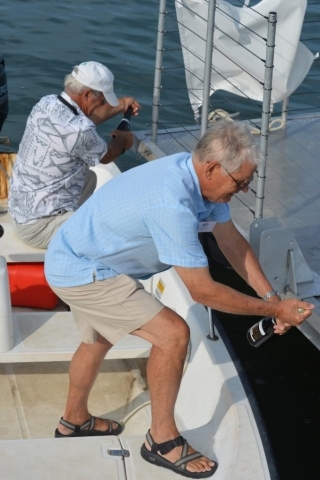 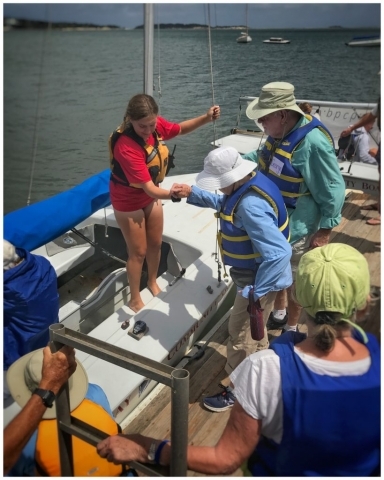 Each senior is accompanied by a guide from the town’s Council on Again (COA) to ensure safe transition from PBCB’s parking lot to the dock and boats. 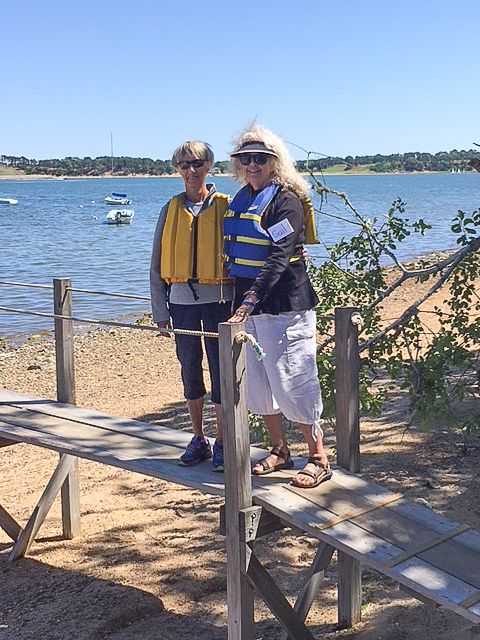 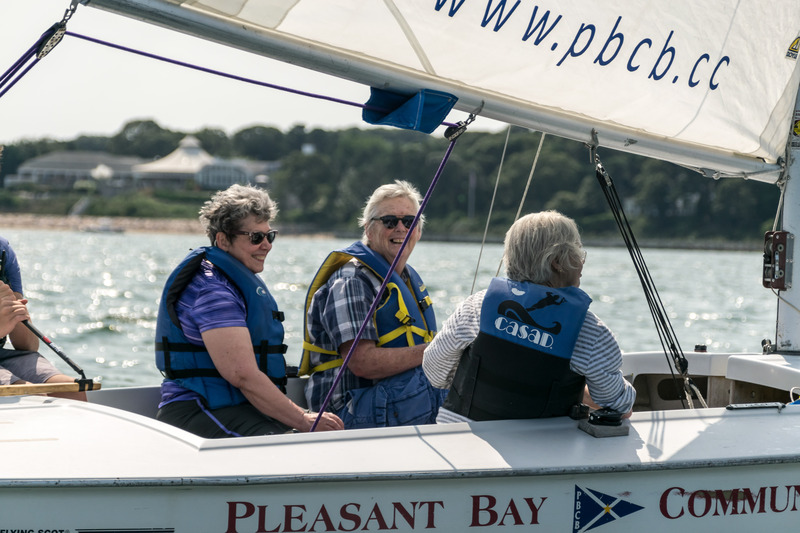 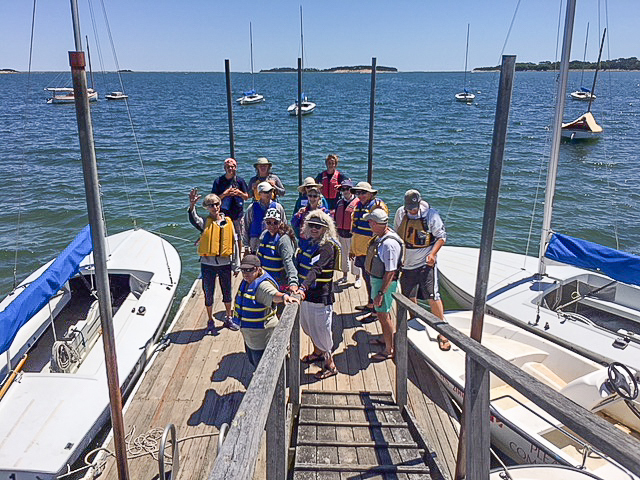 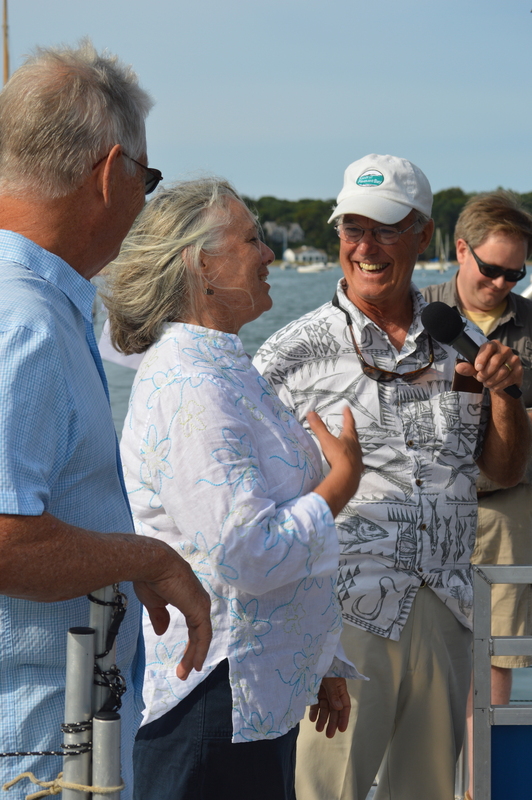 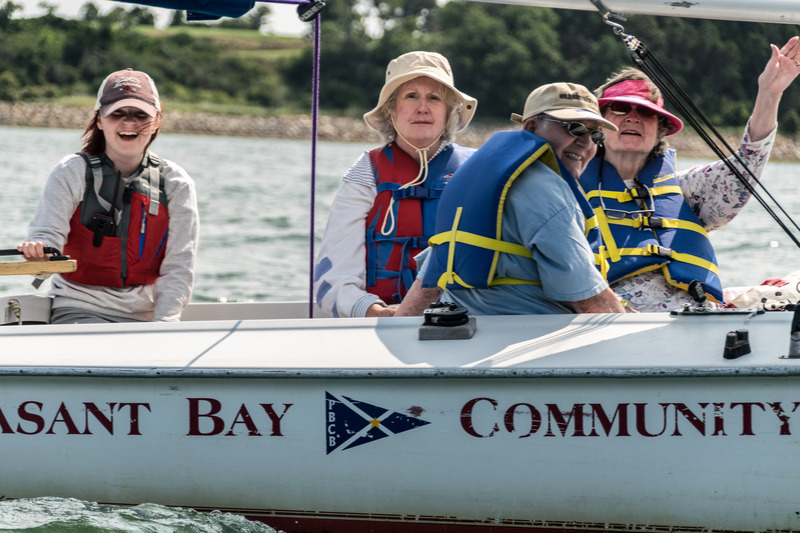 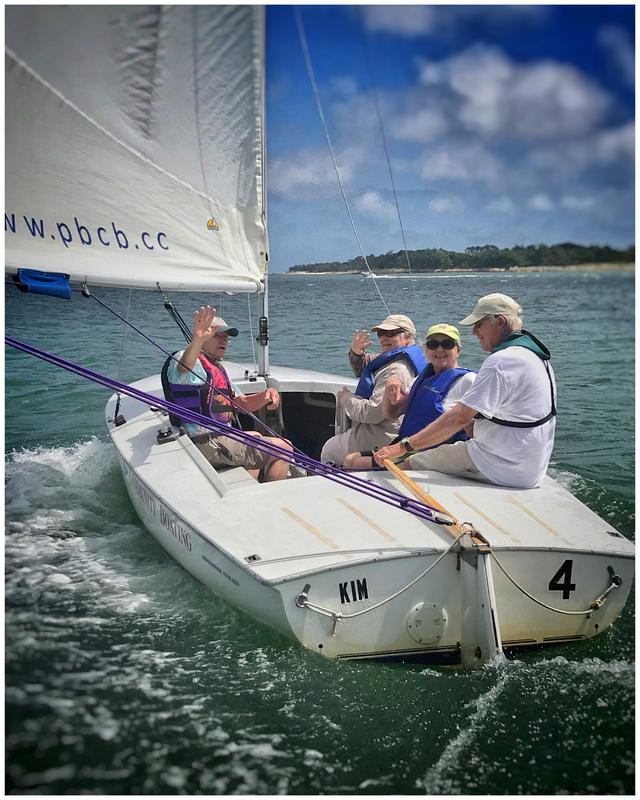 With guides and a PBCB sailing instructor, the seniors head out onto the magnificent waters of Pleasant Bay. 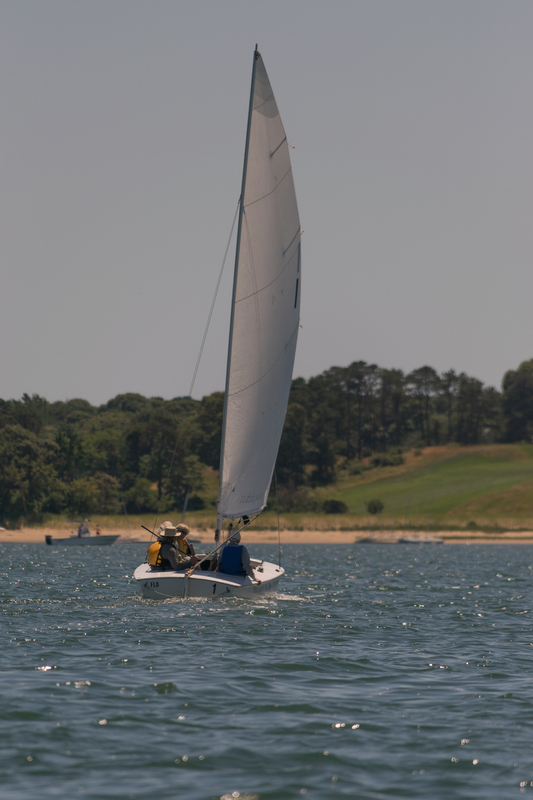 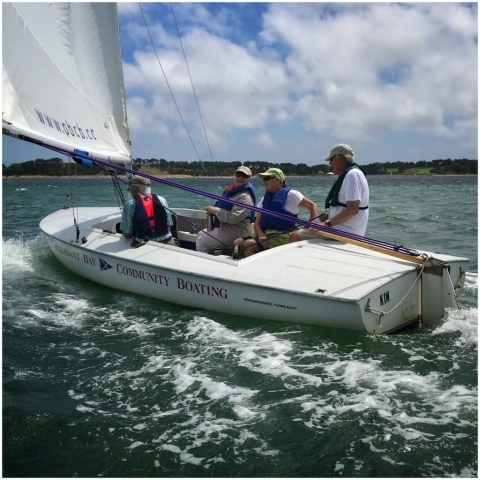 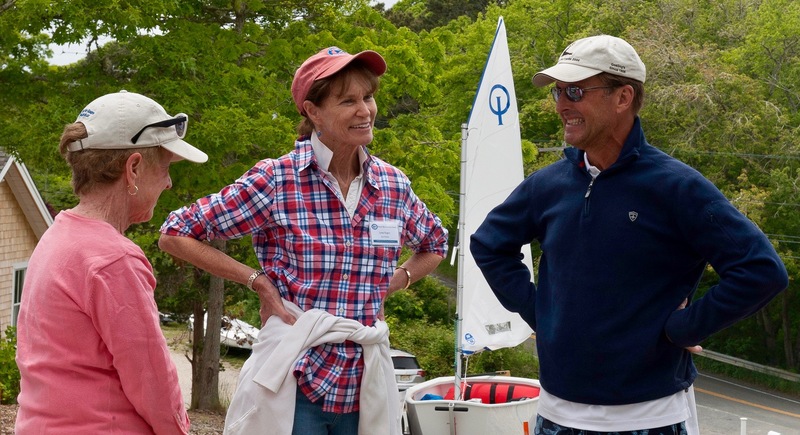 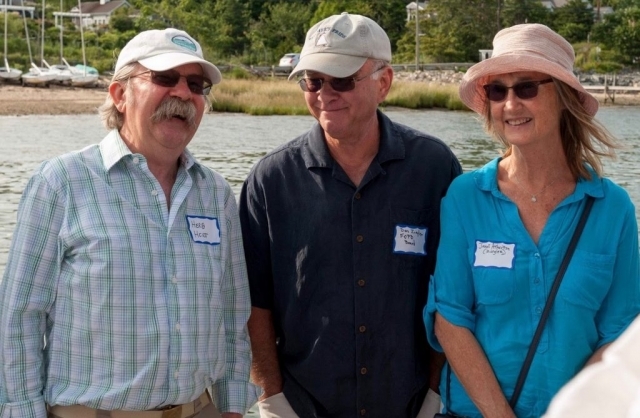 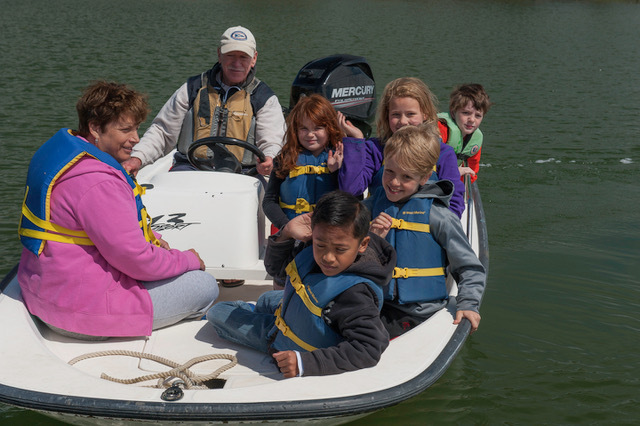 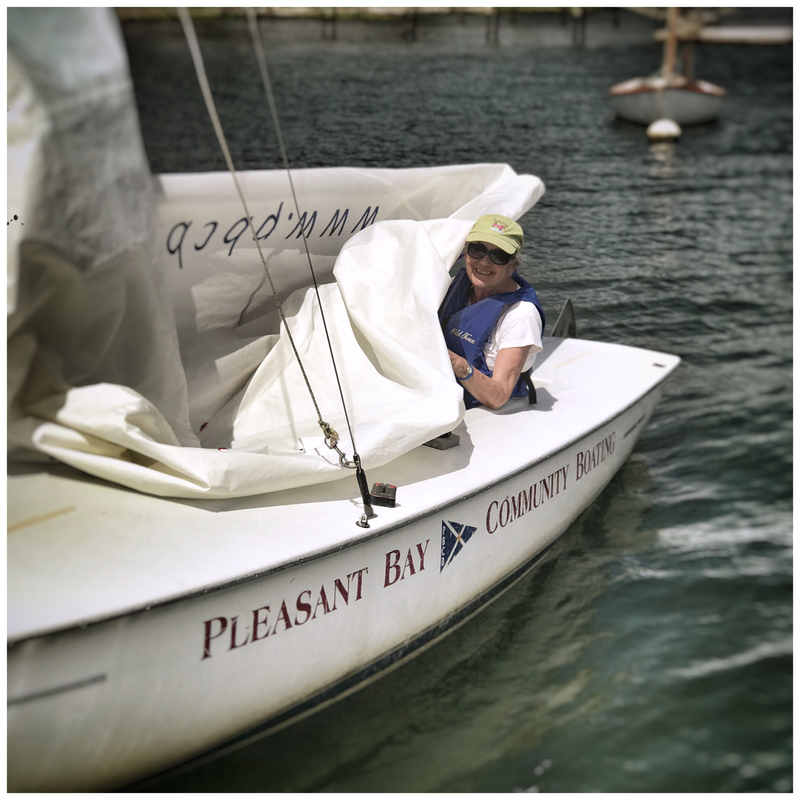 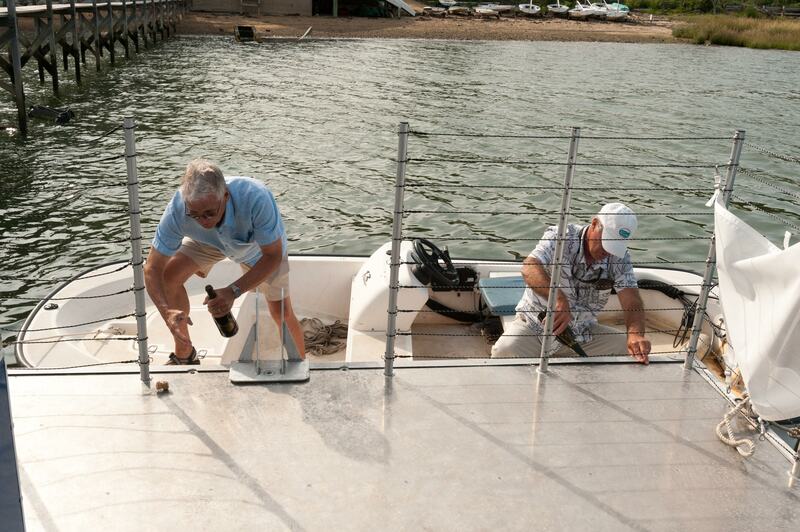 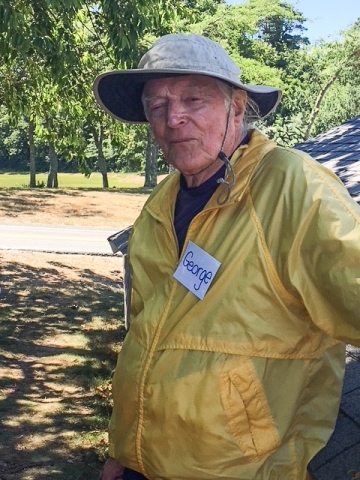 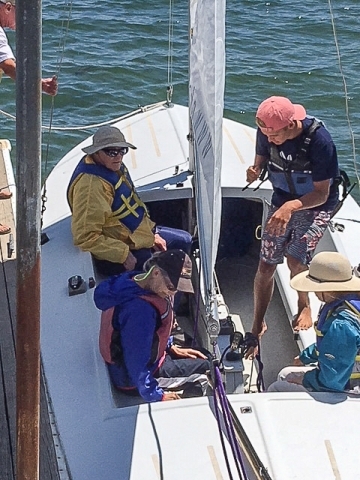 For some, it’s their first ever time sailing, while others may not have sailed in decades. 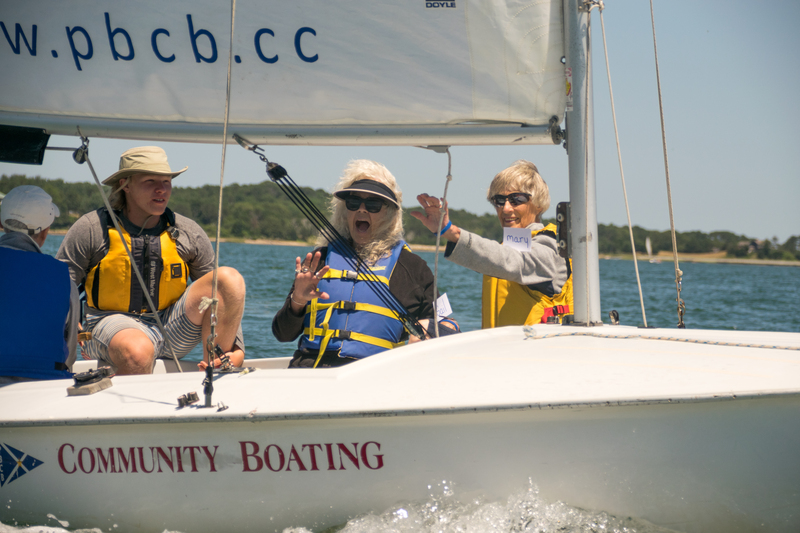 PBCB is thrilled to bring such joy to our seniors, and is thankful to the COAs and all the generous donors, corporations and foundations who have supported this program’s development. 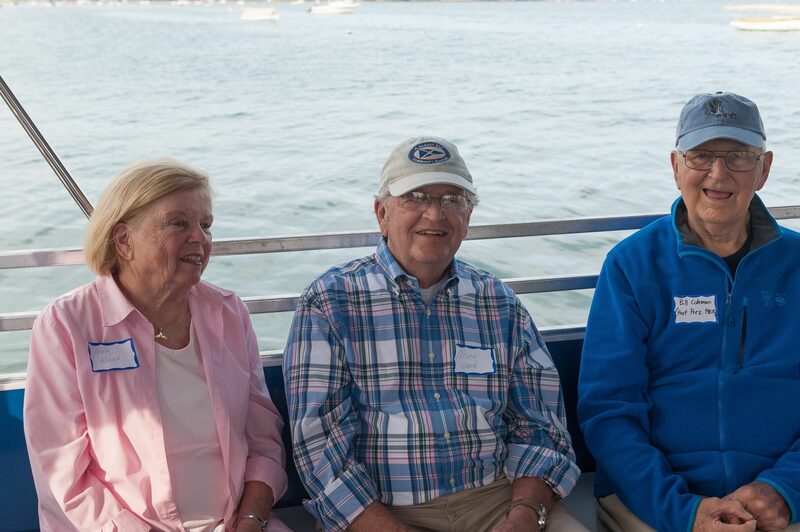 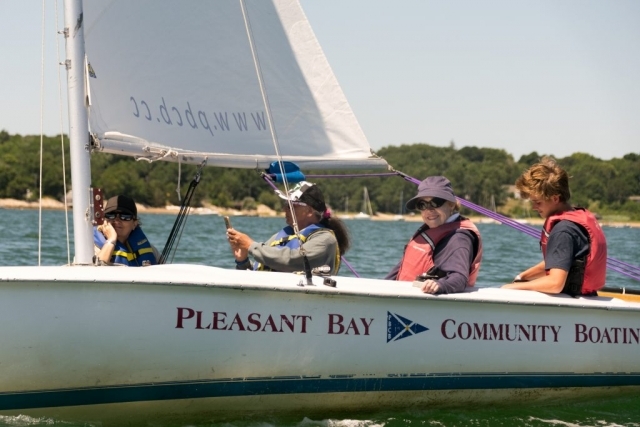 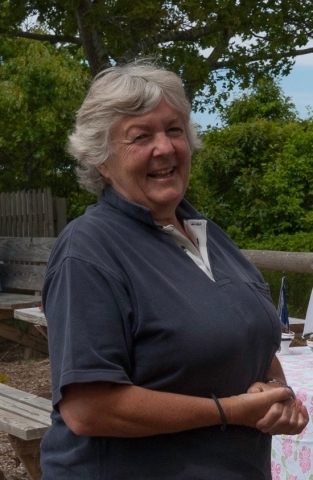 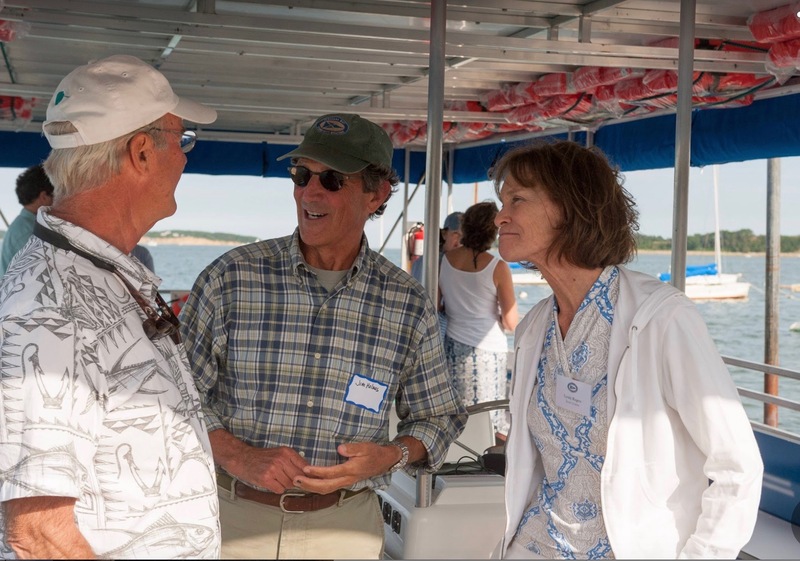 In just three years, demand for the Senior Sailing program has exceeded our ability to accommodate more participants. 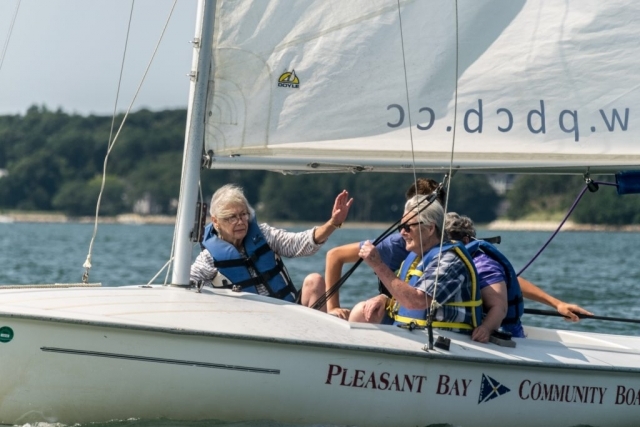 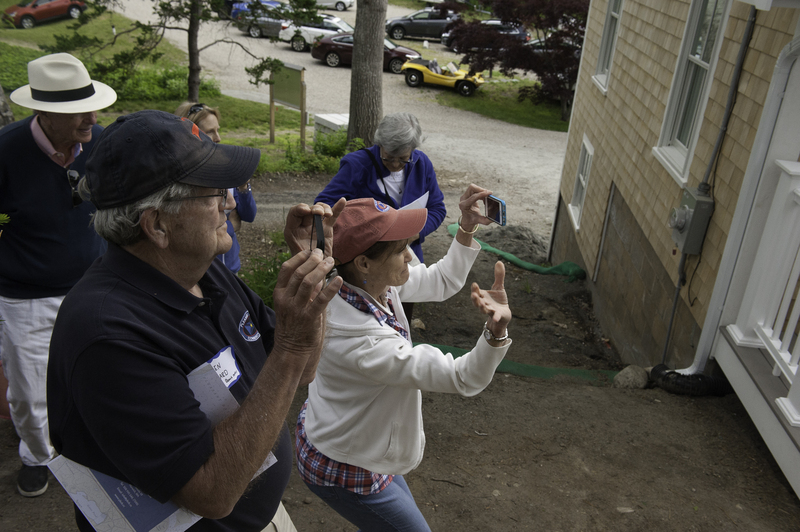 We are currently limited to twelve participants from each town’s COA, and directors must discretely manage the application process because of its popularity with eager seniors. We are seeking additional funding to enlarge the program scope again for next year! 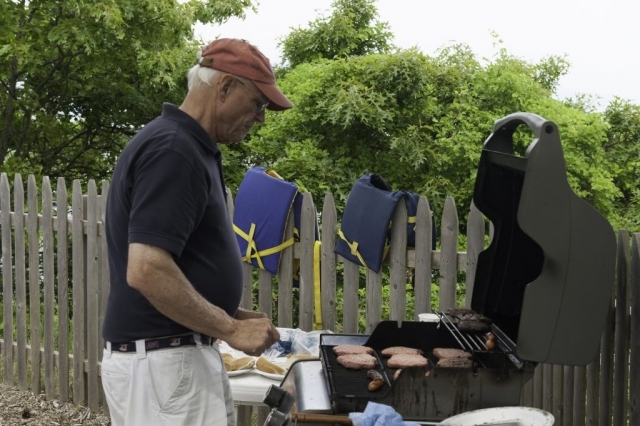 You are invited to celebrate summer with us here at PBCB, Saturday, August 25th! 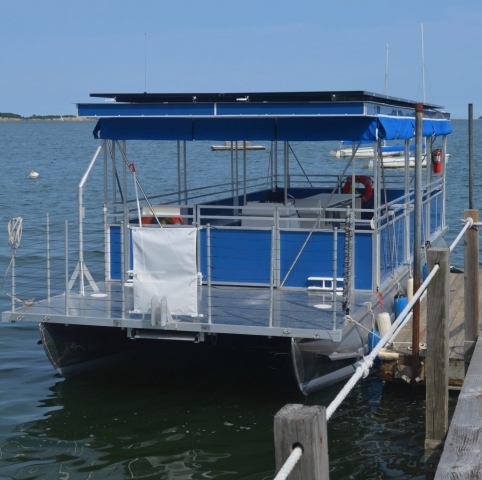 The Floating Classroom Has Landed on the Cape! 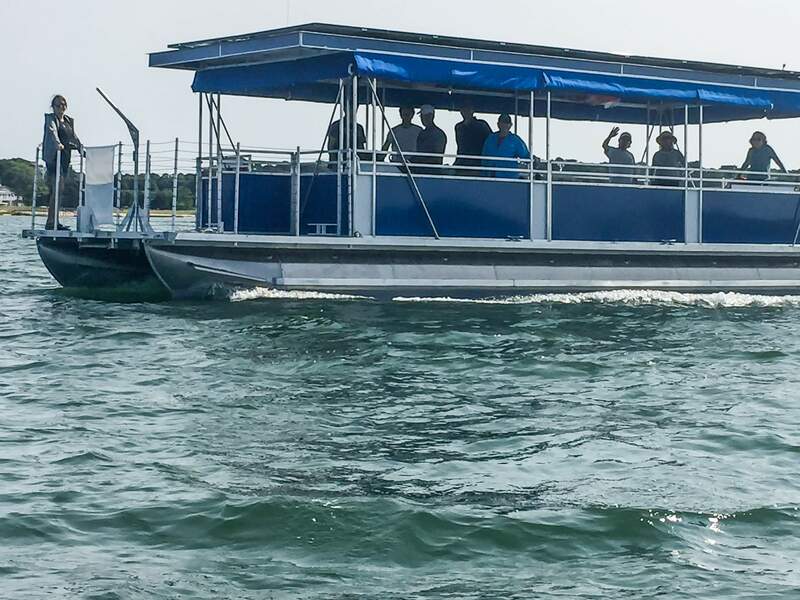 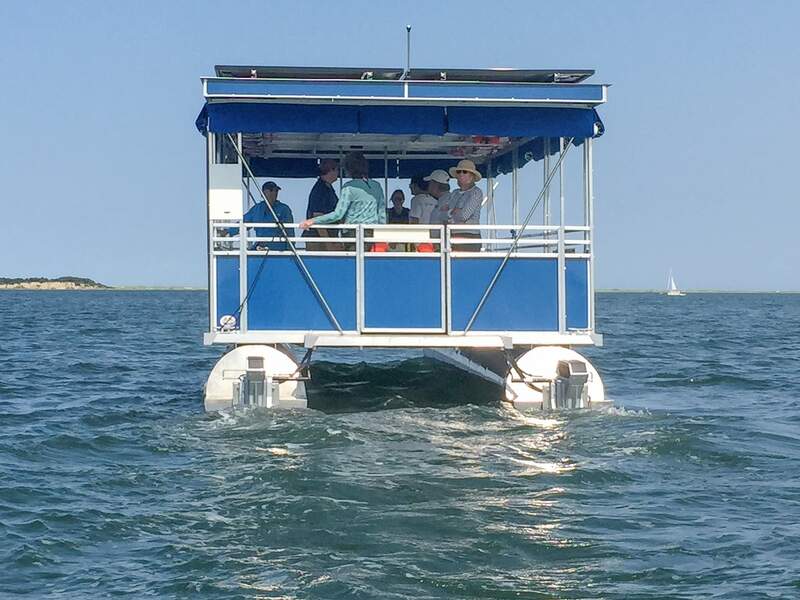 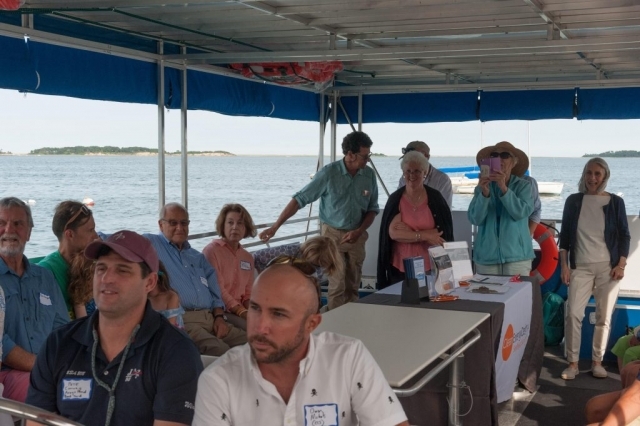 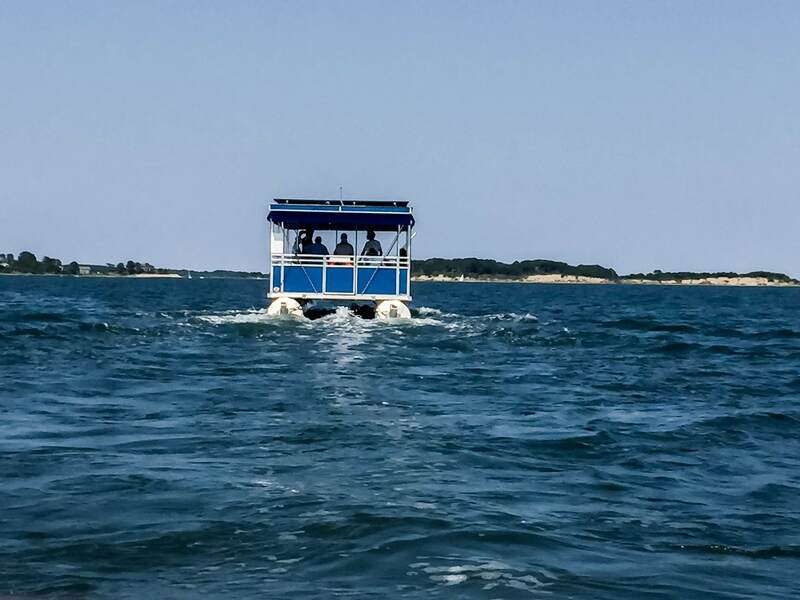 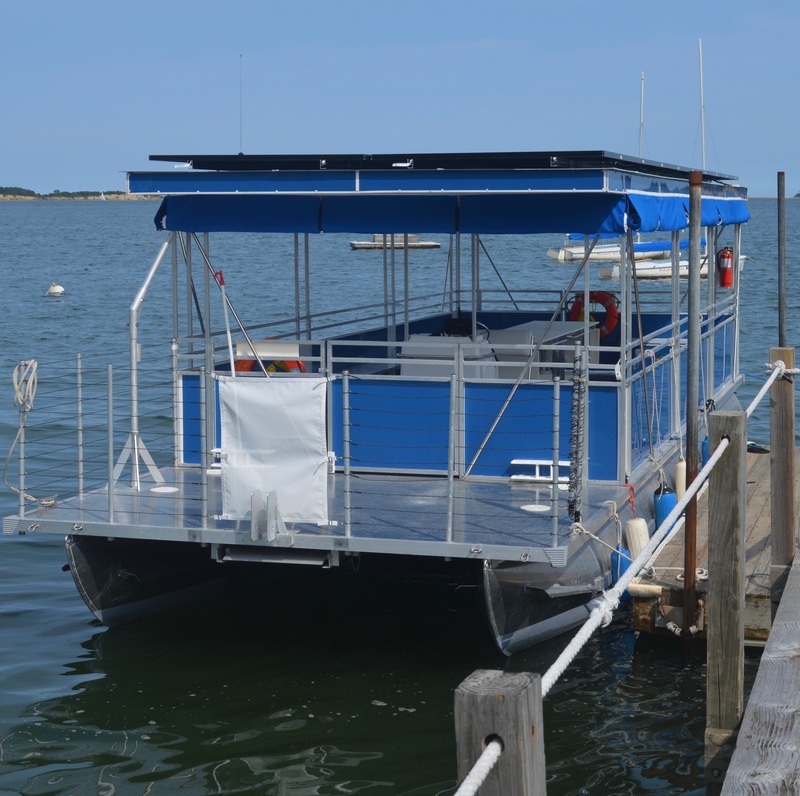 On July 19th, the Floating Classroom Research Vessel finally arrived on Cape Cod! 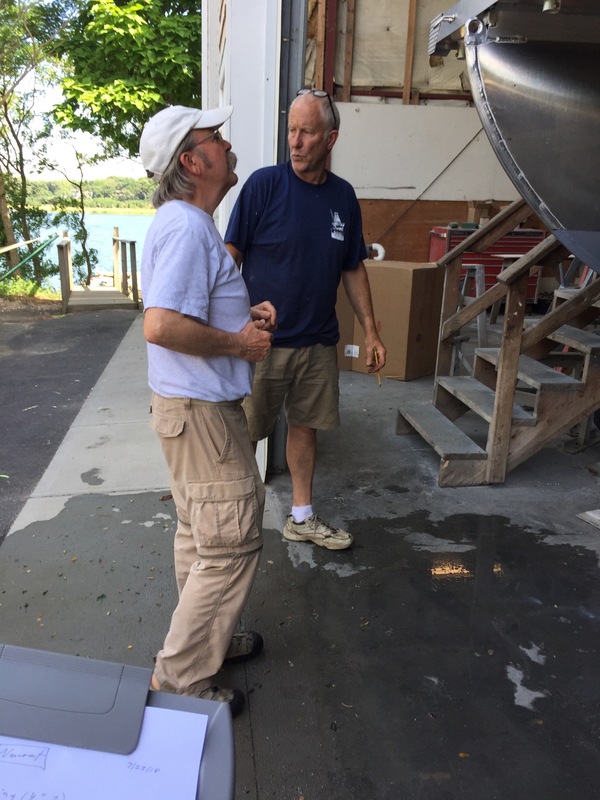 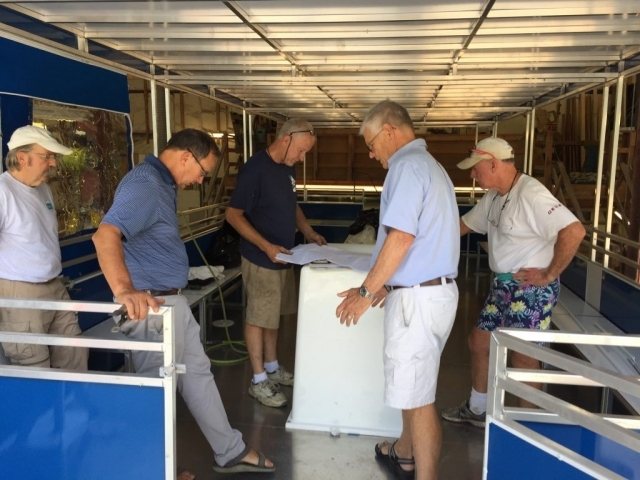 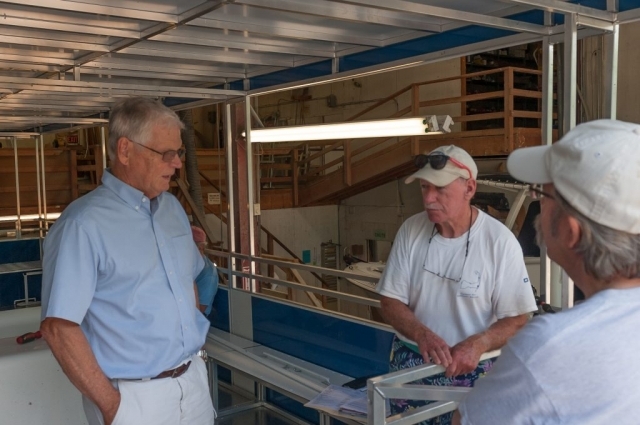 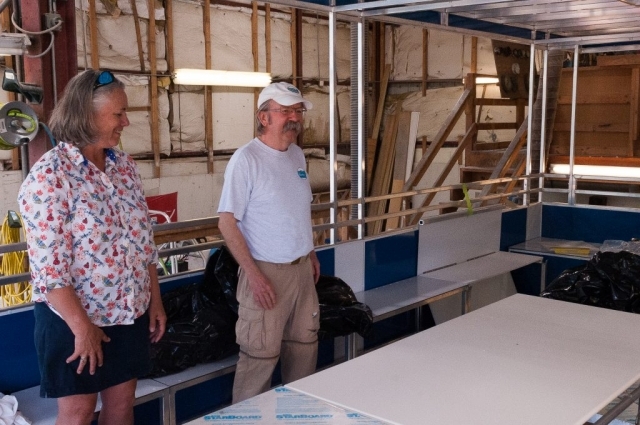 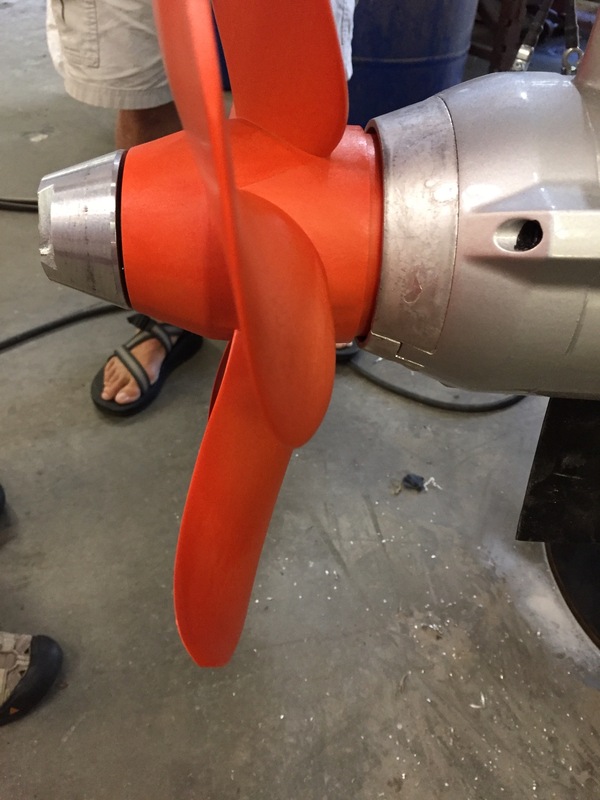 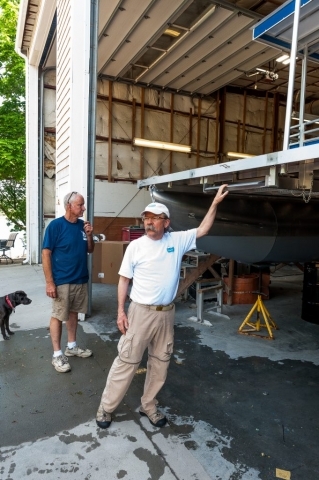 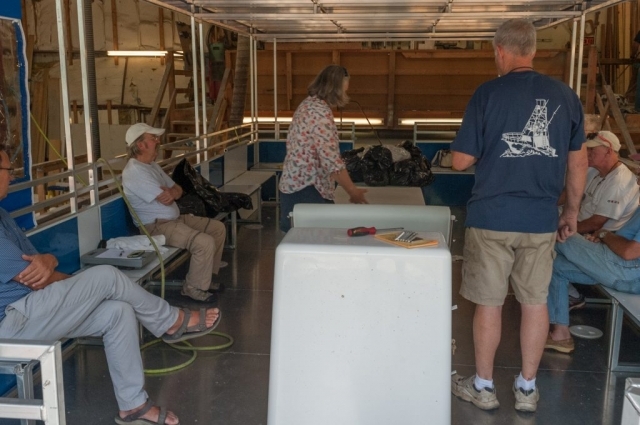 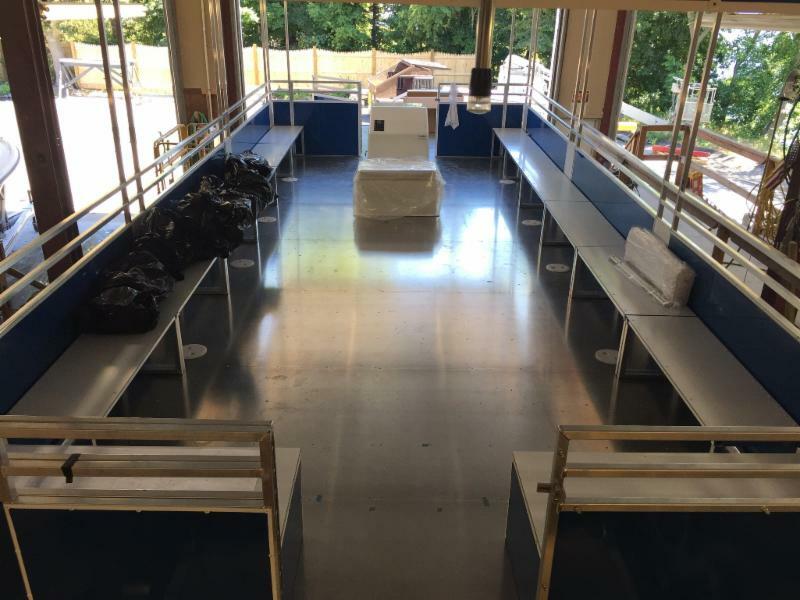 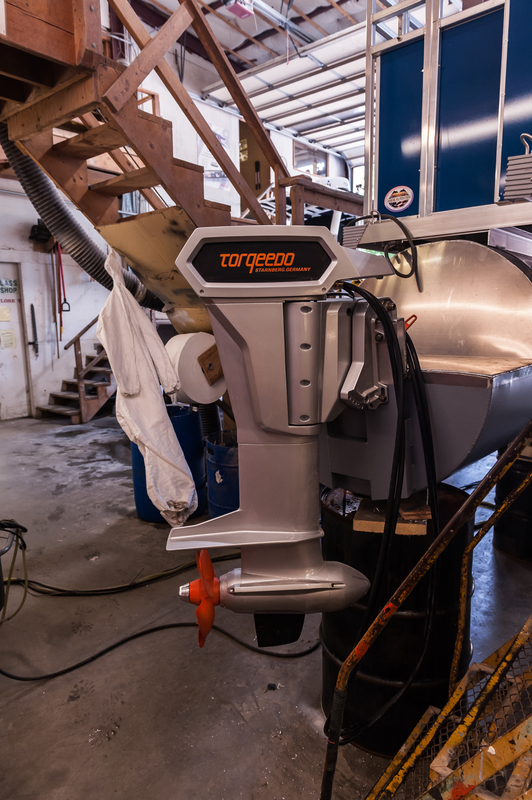 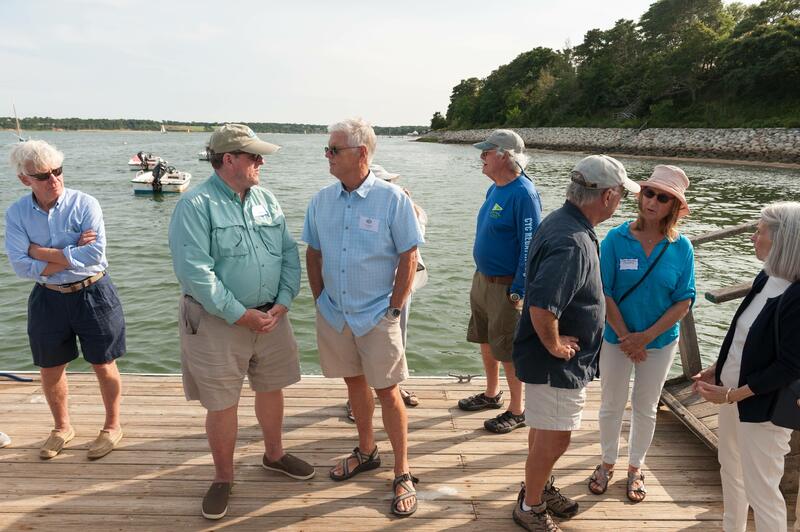 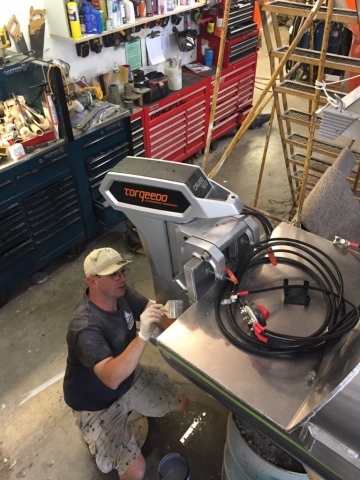 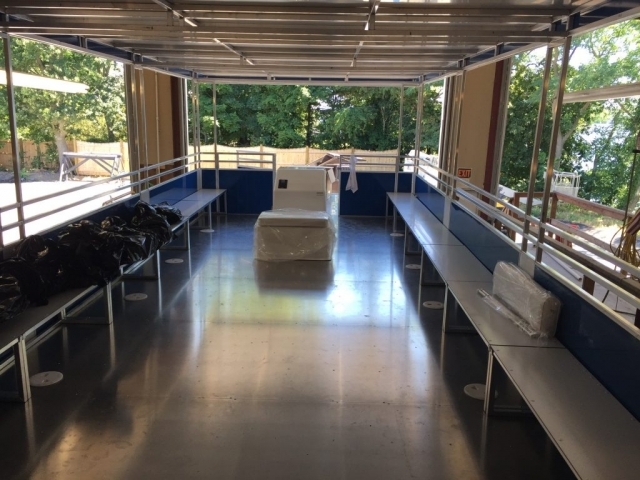 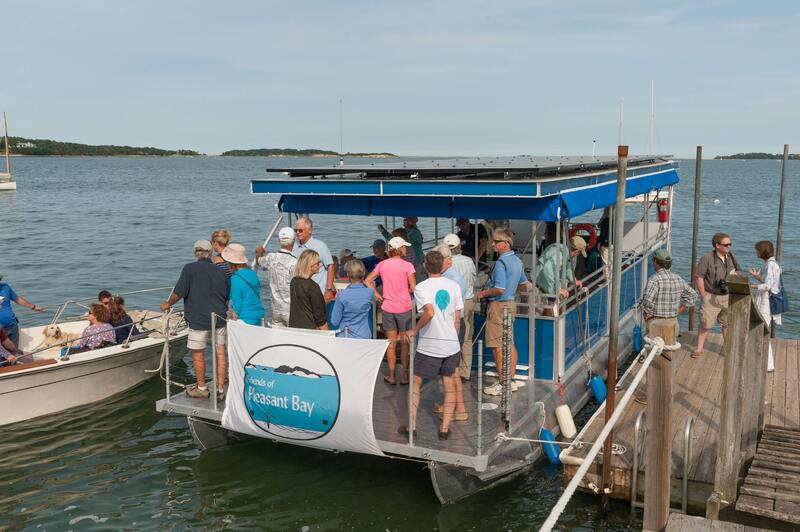 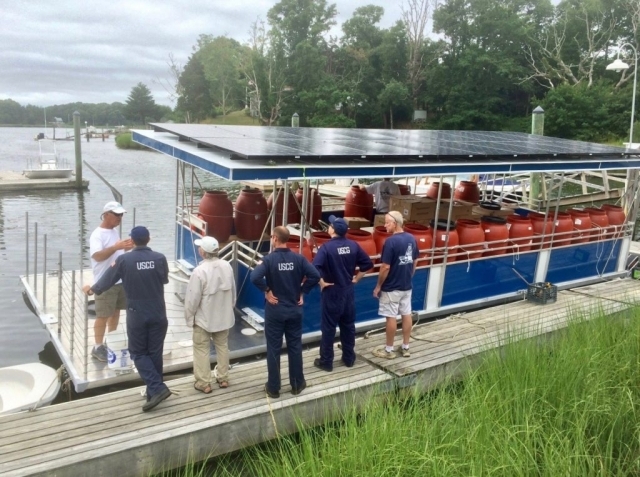 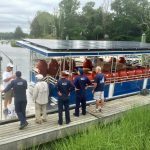 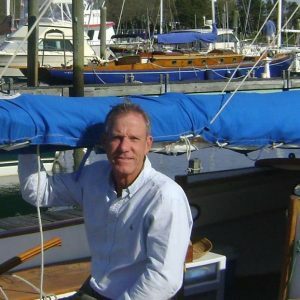 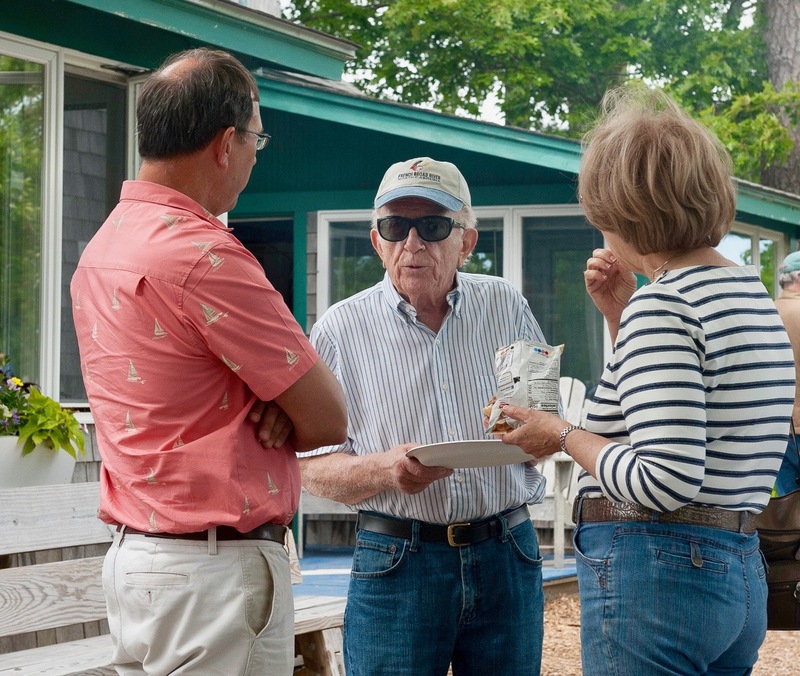 The Friends of Pleasant Bay is busy outfitting the boat for use and the marina has now has installed engines, hydraulic steering, the solar panels, the lab table, and is waiting final fittings and testing. 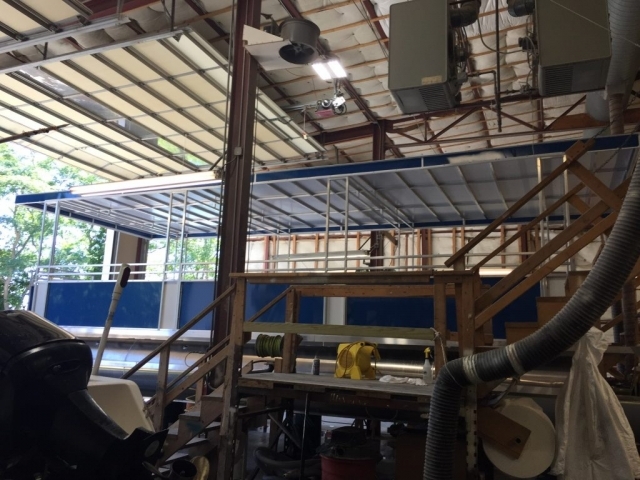 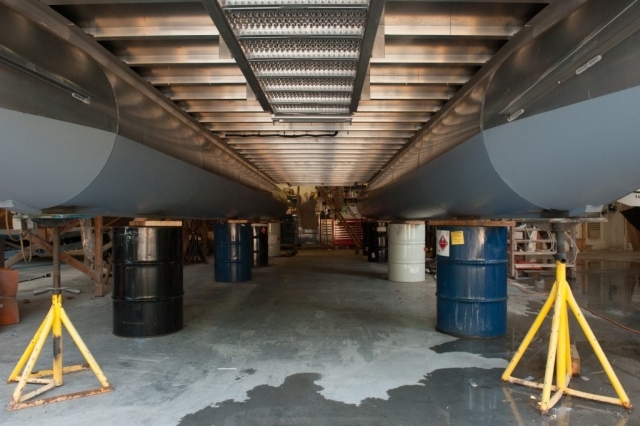 It will have to undergo a float test and stress test over the next 10 days. 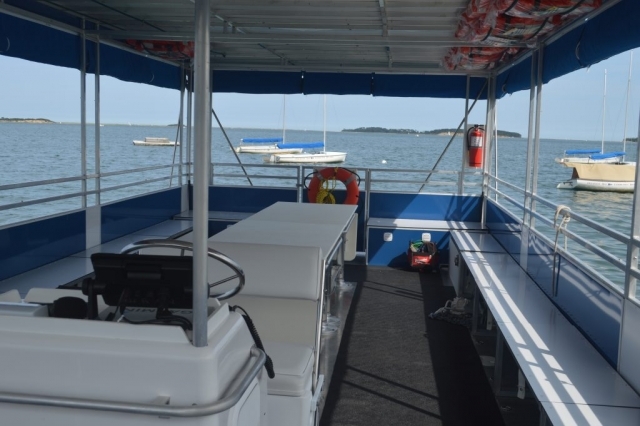 Once it passes, the vessel will receive its final Coast Guard certificate and be ready for shakedown trips. 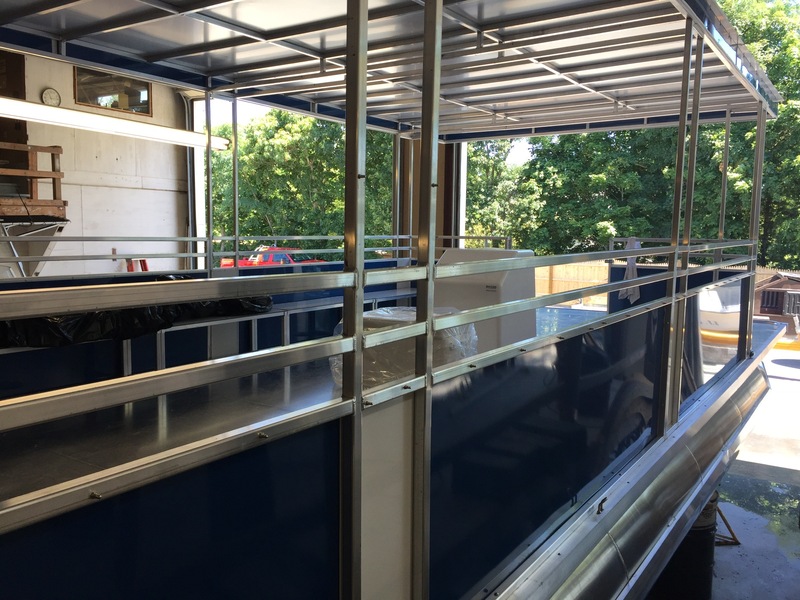 We can’t wait to start offering science and research opportunities! 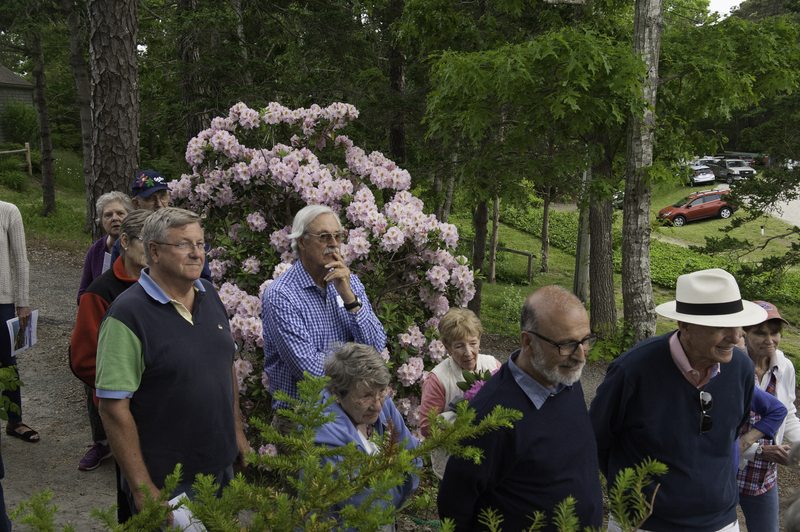 Photos by Bill Hayes and Sarah Griscom. Our signature First Sail program has wrapped up its fourth year. 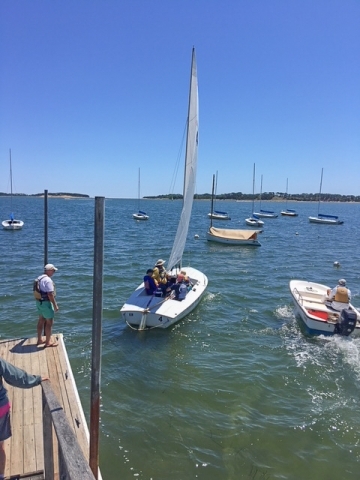 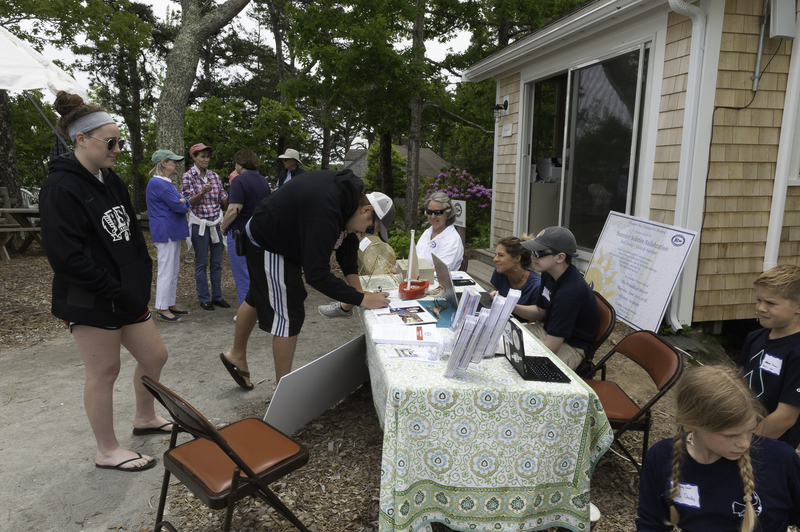 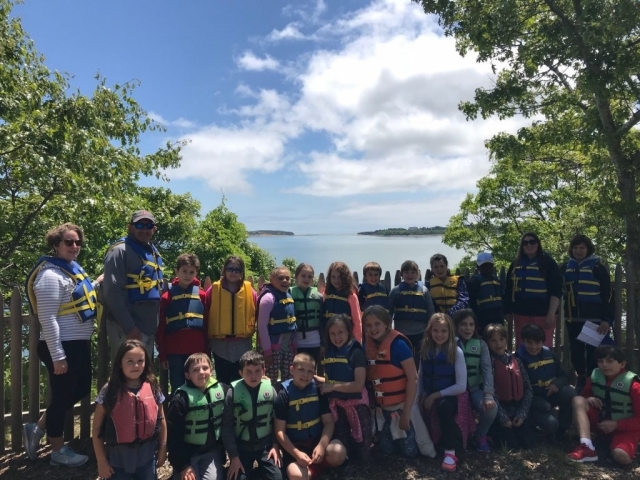 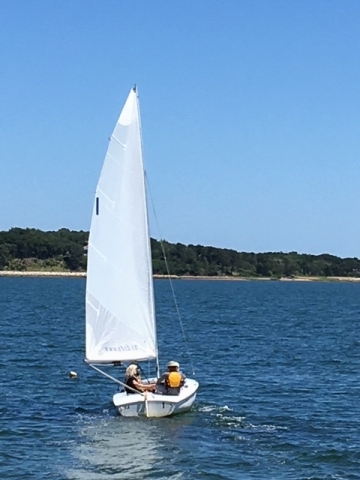 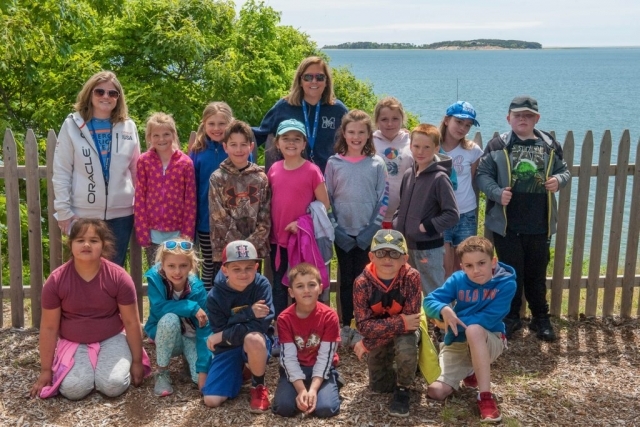 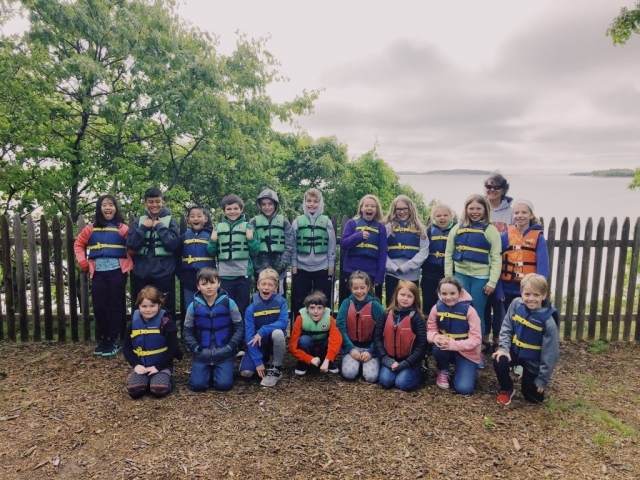 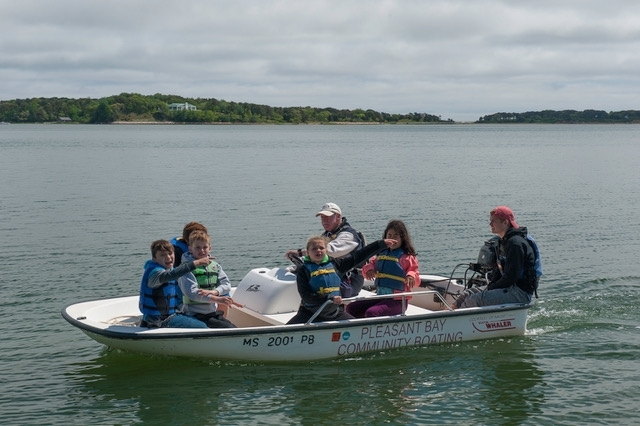 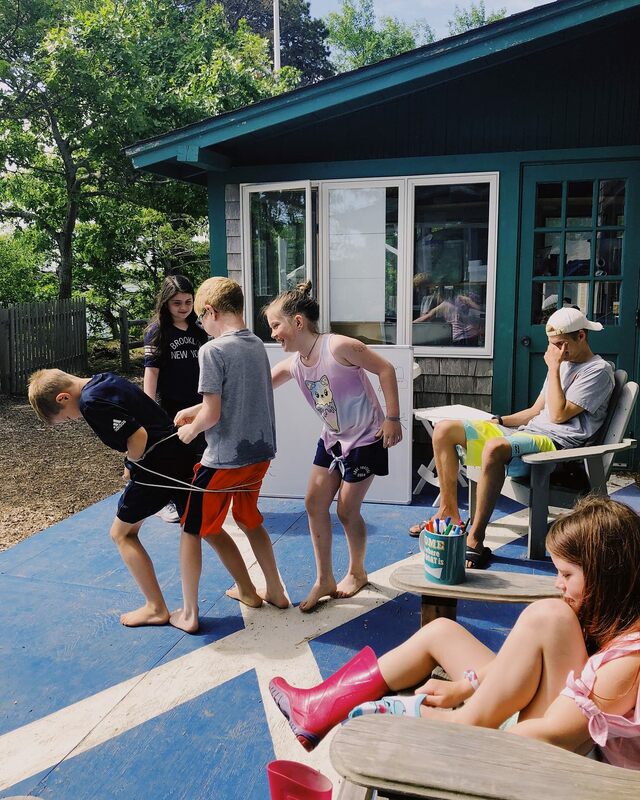 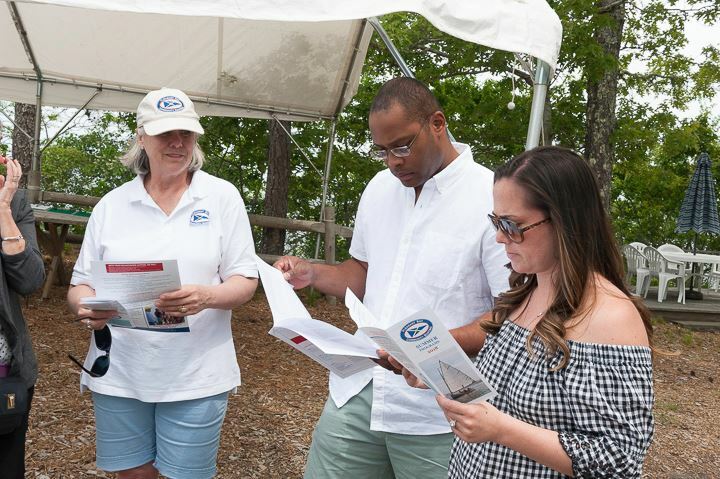 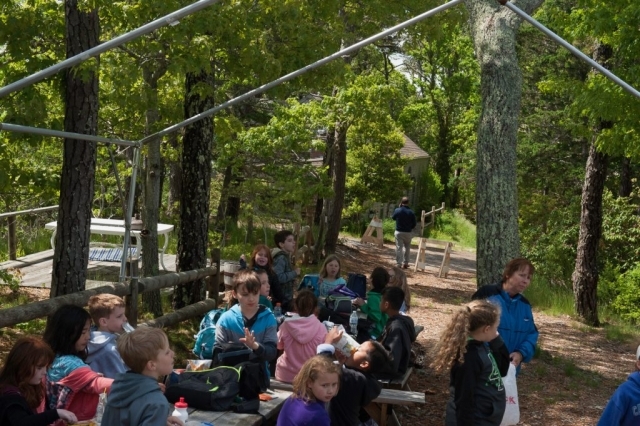 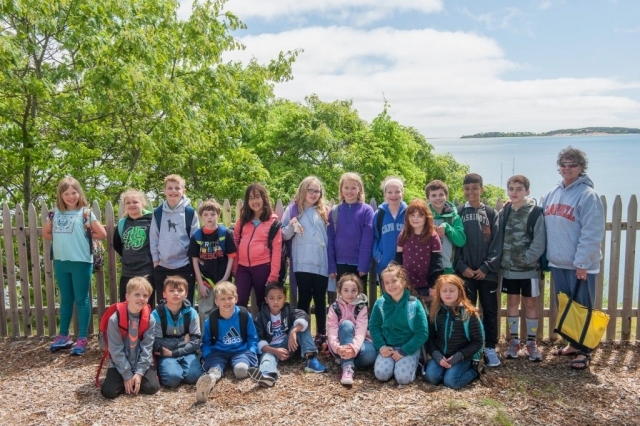 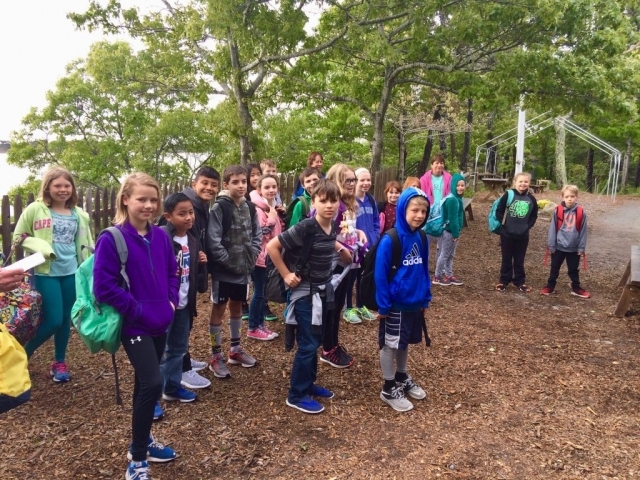 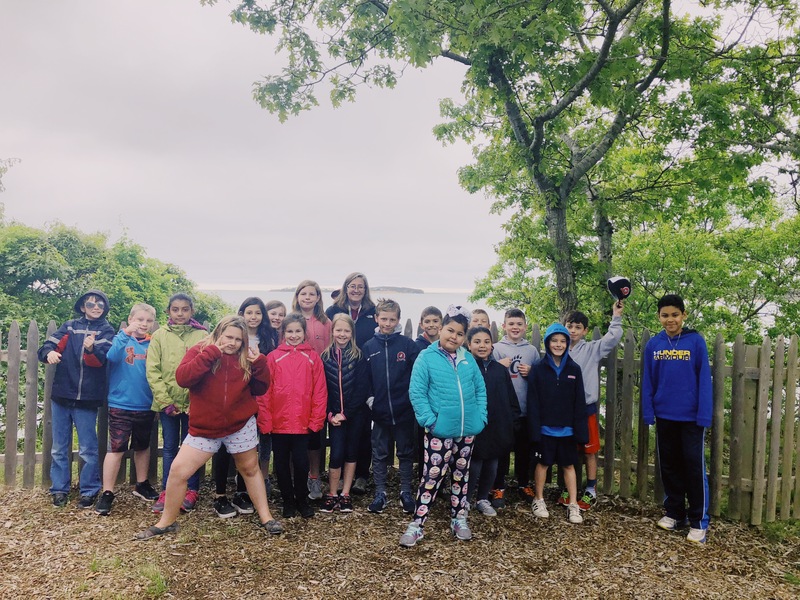 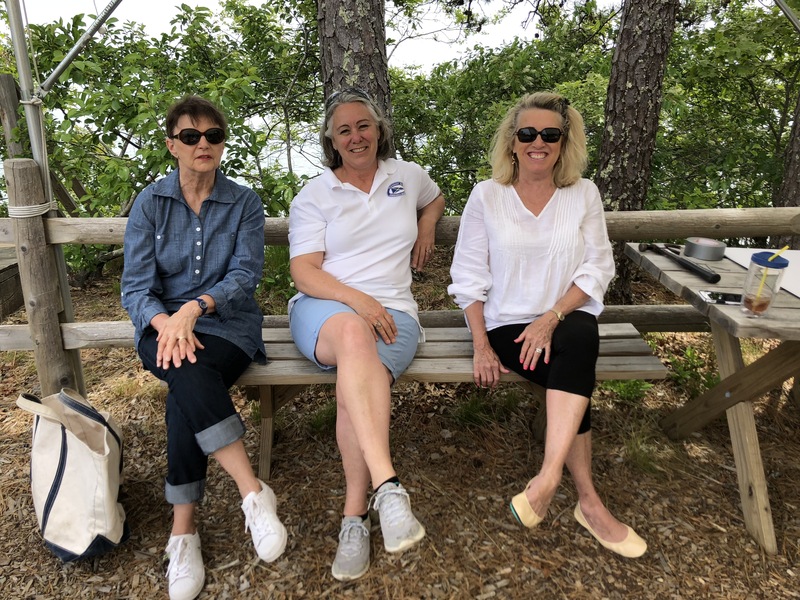 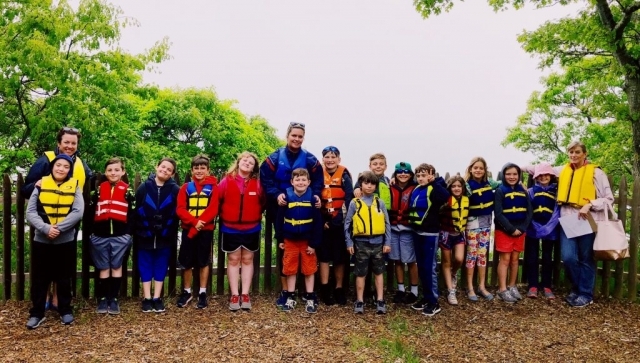 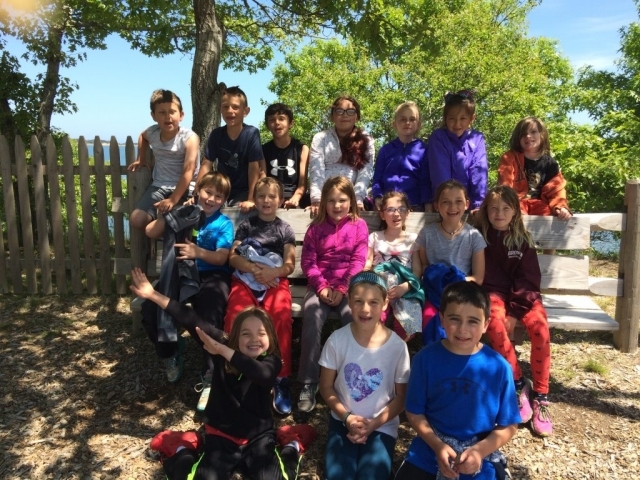 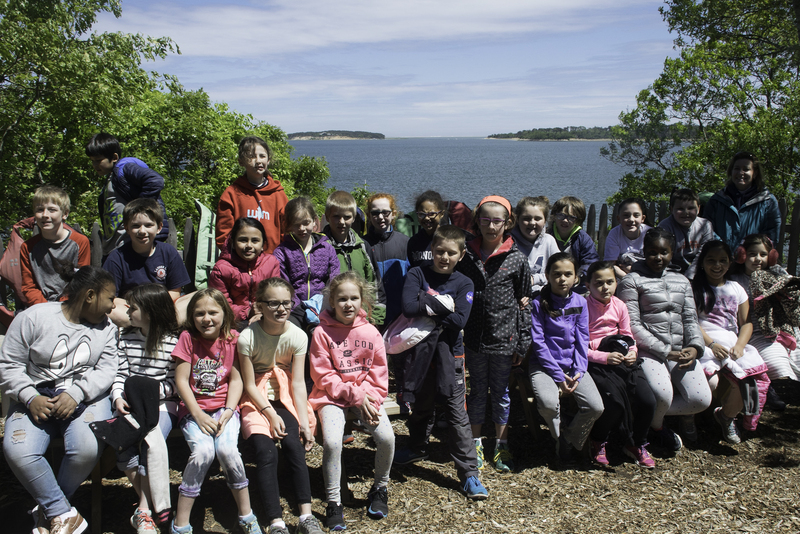 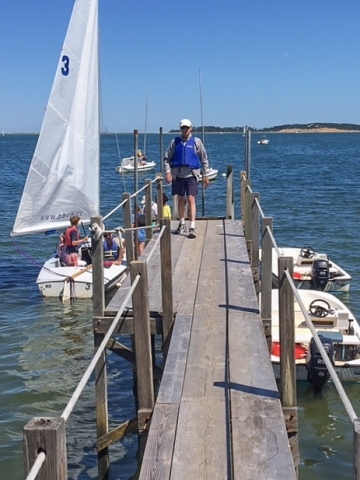 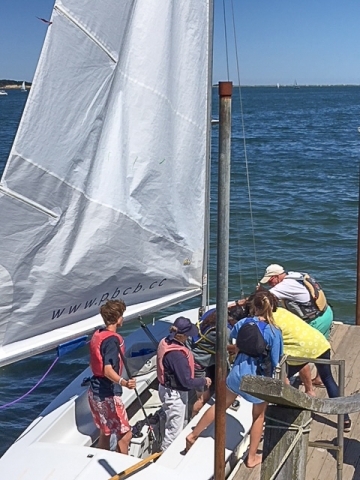 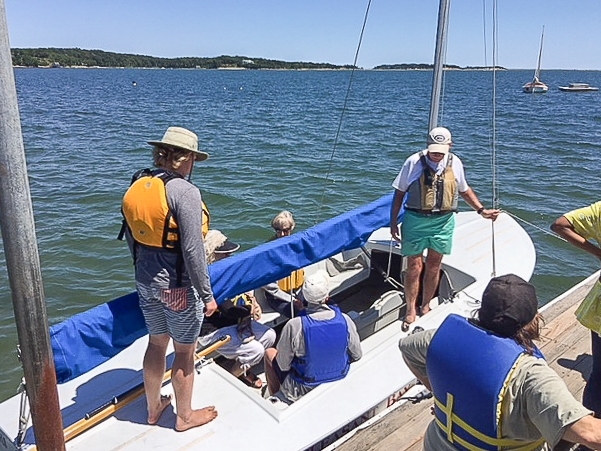 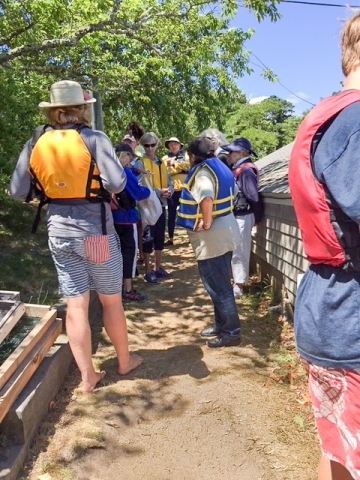 Often called the “best field trip ever”, more than 300 local kids from the Monomoy and Nauset School Districts participated in the exciting introduction to sailing on Pleasant Bay. 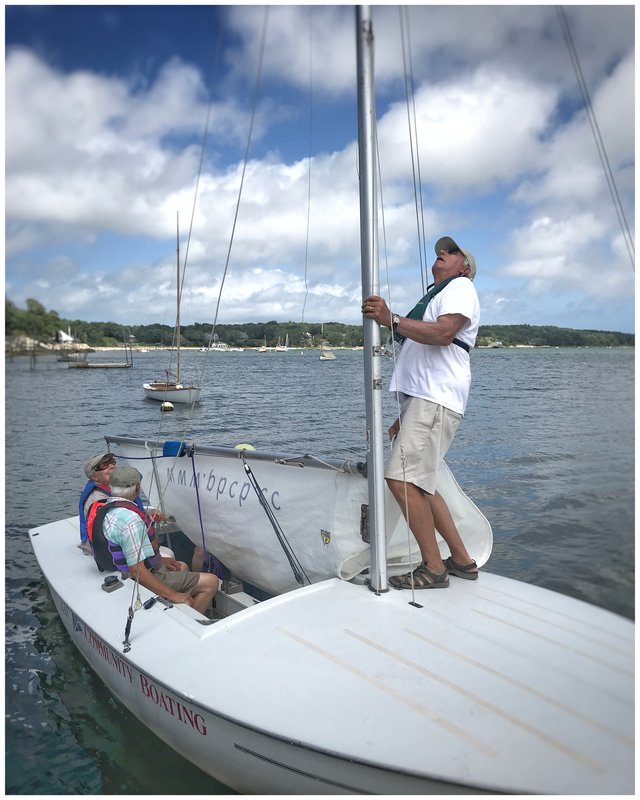 For many, it truly was their “first sail”! These students had the opportunity to engage with the marine environment of Pleasant Bay and experience the thrill of sailing. 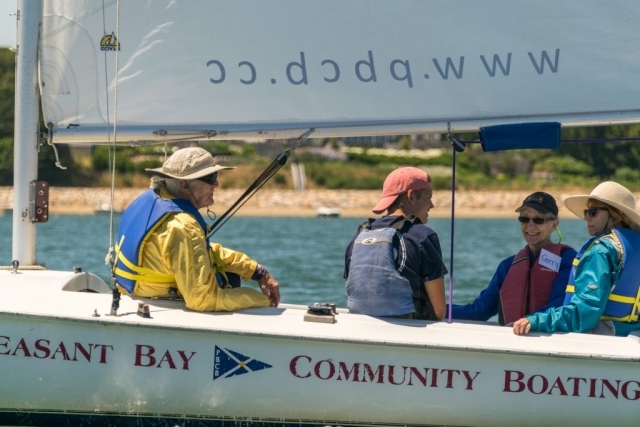 We hope many of these first sailors return to our campus during the season and eventually become PBCB members, instructors, and of course, stewards of the Bay. 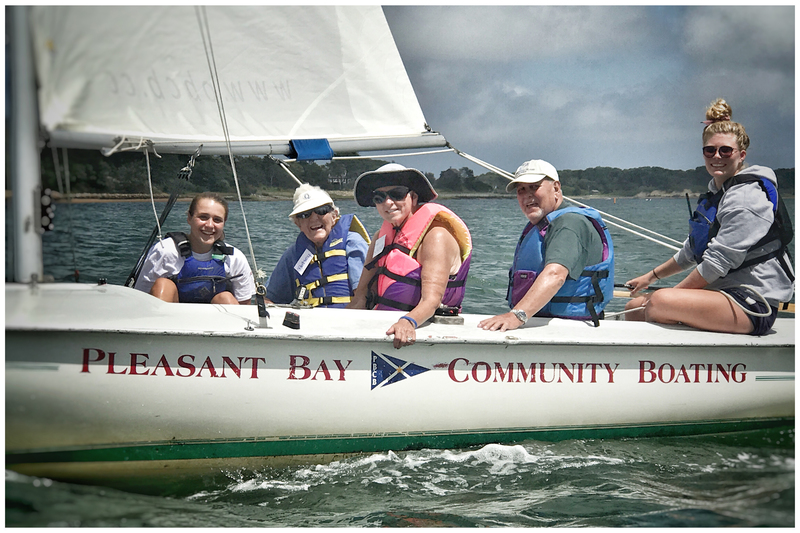 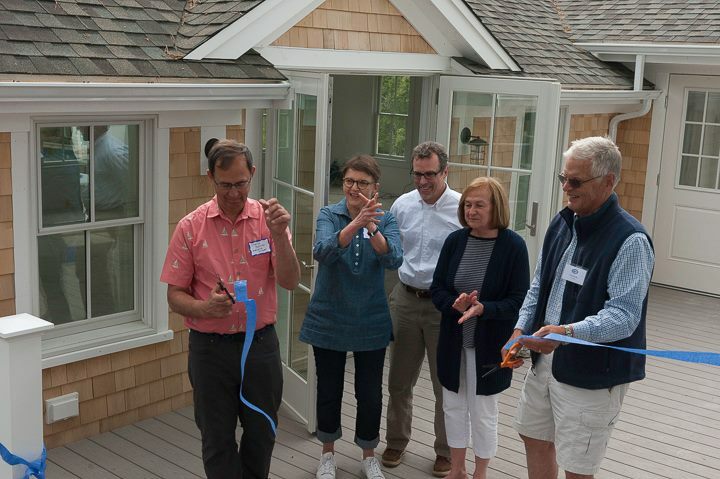 Thanks to the Friends of Pleasant Bay for their generous grant that makes this program possible.